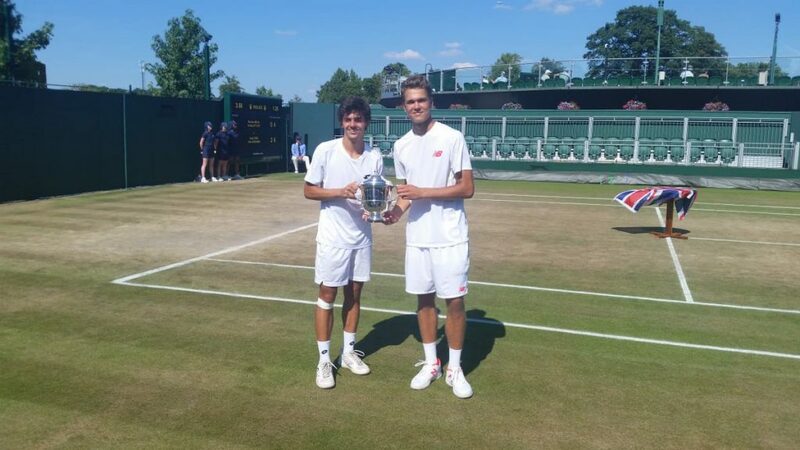 Yanki Erel, a young tennis player from Turkey, has made history by not only becoming the first Turk to appear in a Wimbledon final, but also the first to win a Grand Slam title after he and his Finnish partner Otto Virtanen won the Wimbledon Boys’ Doubles trophy this afternoon. The unseeded pair beat the sixth seeds Nicolas Mejia (Colombia) and Ondrej Styler (Czech Republic) in straight sets, 7-6, 6-4 on Court no. 12. Erel and Virtanen broke their opponents’ serve in the final game to lift the junior doubles Grand Slam trophy in a match that lasted 1 hour and 26 minutes. Born in Tekirdağ in September 2000, 17-year-old Erel is the rising star of Turkish tennis. 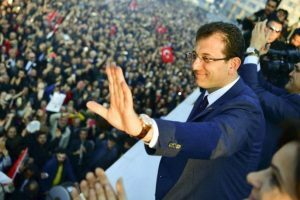 Playing since he was six years old, the left-handed player is coached by Nika Kakulia at the Garanti Koza Wos Academy in Istanbul. He is currently 26 in the Junior World Rankings, which will no doubt change following this spectacular win. His doubles partner Virtanen from Finland is currently ranked 56. The win in Wimbledon is also a career high for the teenager, who turned 17 last month.